On the 7th of September, Andrey & Julia Dashin’s Foundation attended a Fundraising Gala organised by philanthropist and businessman, Mr. Gaies Khrais, in support of higher education for underprivileged children. The Foundation donated 10,000 euros to the First Lady’s Independent Social Support Body (ISSB), an organisation that helps finance university studies for students coming from dire economic backgrounds. “Our focus in the fields of health, culture, education and sports is especially centered around children in Cyprus, which is of high importance because it allows us to become a force for the good and place solid foundations that will reap benefits not only now, but for future generations to come. At the Foundation, we know how important the work provided by the Independent Social Support Body is first-hand, as we often see cases where children stay in shelters, or come from underprivileged backgrounds, in need of help. Education is knowledge and knowledge is the best gift one can ever give”. 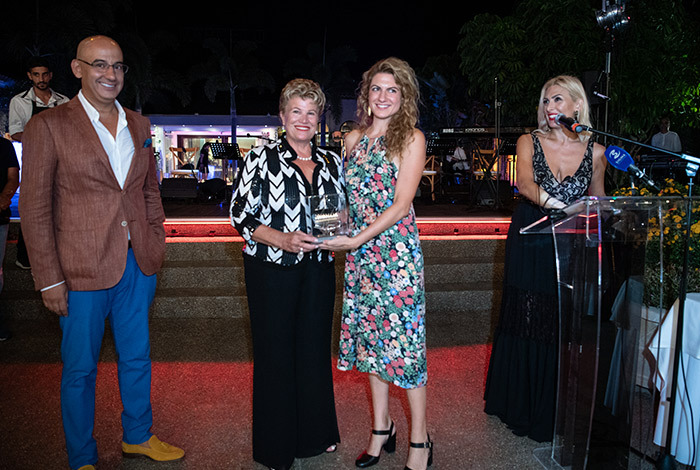 Ever since its establishment in 2014, Andrey & Julia Dashin’s Foundation has managed to give more than half a million euros to the community of Cyprus and extend a helping hand to those in need, without prejudice or discrimination.